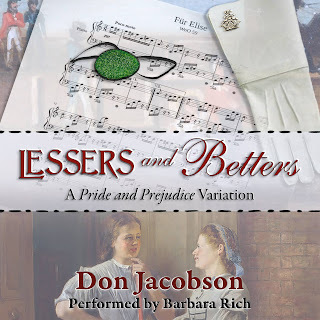 Today we are joined by Don Jacobson to talk about audio books. I've noticed a definite move to audio lately amongst JAFF authors and I applaud it. Firstly, I think it's great to give people a choice of medium. While there are those people who will only read a real book I think there are definitely places for things like ebooks, which revolutionised my reading, and are a wonderful choice for those who are limited on budget or physical space, or who benefit from the flexibility to increase text size. Similarly, audio books are fantastic; firstly for people who are unable to physically read, (such as my dear, departed Grandad, who had a stroke which left him partially sighted, and he received 'talking books' via post to help him read without the need for his magnifying glass) but also for those who do things like crafting, meaning that they can read without having to hold the book. I never thought listening to audio would be something that I would do, but spurred on by the encouragement of fellow JAFF-reader Anji, I gave audio a try. Having increased my working hours a few years ago, leading to a decrease in available reading time, I found audio books a godsend! Rather than spend my commute alternately having road rage and dispiritedly flicking through radio channels to avoid adverts I found myself actually really enjoying the time I had to spend travelling, and washing dishes and folding washing are far nicer to do when you are distracted by a book. Since I do a sedentary job I usually try to have a lunchtime walk to get some steps in and listening to an audiobook means I get to read as well as exercise - win/win! 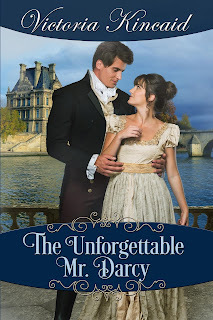 Victoria Kincaid is visiting today with an excerpt and giveaway of her new book, The Unforgettable Mr Darcy. This sounds like something that's quite different from most other variations. I'll share the blurb with you, and then hand over to Victoria for a guest post and excerpt. Victoria is also offering a giveaway to one commenter on this post. You may recall that Victoria visited here recently. The giveaway for an audio copy of Victoria's Mr Darcy to the Rescue is still open if you're quick; you have until the end of the day on Tuesday 24 July to enter. 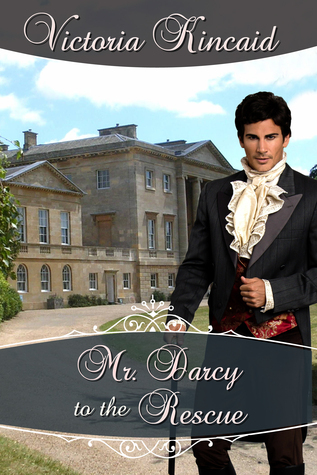 Read on to find out more about The Unforgettable Mr Darcy! Mr. Darcy arrives at Longbourn, intending to correct the mistakes he made during his disastrous proposal in Hunsford. To his horror, he learns that Elizabeth Bennet was killed in a ship’s explosion off the coast of France—in an apparent act of sabotage. Deep in despair, he travels in disguise to wartime France to seek out the spy responsible for her death. 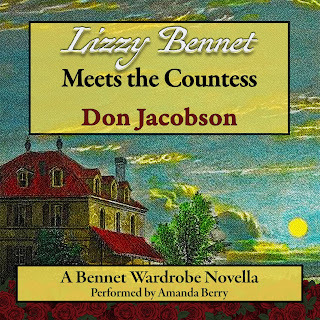 Recovering from a blow to the head, Elizabeth has no memory of her previous life, and a series of mistakes lead her to believe that Darcy is her husband. However, they have even bigger problems. As they travel through a hostile country, the saboteur mobilizes Napoleon’s network of spies to capture them and prevent them from returning home. Elizabeth slowly regains her memories, but they often leave her more confused. 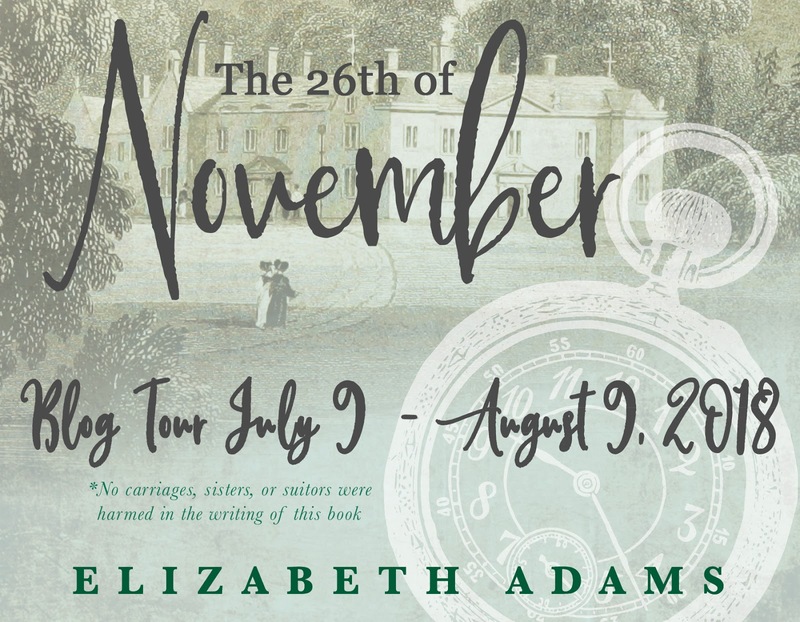 Darcy will do anything to help Elizabeth reach England safely, but what will she think of him when she learns the truth of their relationship? Thank you for hosting me, Ceri! When I understood how much of the plot of The Unforgettable Mr. Darcy would revolve around espionage during the Napoleonic Wars, I realized I needed to do some research. Although a lot of historical fiction from this time period describes the activities of spies, there is surprisingly little hard historical research available on the subject. Scholars of the era appear to spend a lot of time exploring the wars and military aspects but devote relatively little energy to other aspects. In the final years of the Napoleonic Wars, Napoleon allowed English smugglers entry into the French ports of Dunkirk and Gravelines, encouraging them to run contraband back and forth across the Channel. Gravelines catered for up to 300 English smugglers, housed in a specially constructed compound known as the ‘city of smugglers’. Napoleon used the smugglers in the war against Britain. The smugglers arrived on the French coast with escaped French prisoners of war, gold guineas, and English newspapers; and returned to England laden with French textiles, brandy, and gin. I found this account fascinating. Why would Napoleon encourage smuggling by setting up an official smugglers’ village on French soil? There were several reasons. Napoleon needed money to finance his war. The activities at Gravelines brought British money to France. The city was a virtual fortress, with access—even for French merchants—strictly controlled by French customs officials and soldiers; Napoleon’s government was sure to get a cut of all the ill-gotten gains. Napoleon believed that draining guineas from England would help destabilize the British economy—a little wishful thinking on his part. In addition, many French merchants were suffering from effects of the British naval blockade and Napoleon’s own trade policies. Trading at Gravelines brought much-needed capital to French industries. Apparently there was also a lively trade in prisoners of war who were escaping from British prisons. Smugglers would earn some extra money by bringing them across the Channel to their home country. Napoleon also used Gravelines as a source of intelligence. His agents collected English newspapers and brought them to Paris so intelligence officials could glean the latest news. Although there is not evidence of it, I have to suspect the intelligence gathering worked the other way: surely the British had their agents visit Gravelines to acquire information as well. Politics breeds strange bedfellows and war does as well. The population of Gravelines would have been an intriguing combination of English criminals, French merchants, and Napoleonic officials from various departments. With such an intriguing backdrop, I couldn’t resist the idea of using Gravelines as a setting for part of The Unforgettable Mr. Darcy. As Darcy wandered among the stalls of breads, cheeses, and vegetables, a loud growl from his stomach reminded him that it had been hours since he had eaten. A bit of apple with some cheese and bread would not go amiss. But he wanted to select his vendor strategically; the right merchant also would be a good source of local gossip. He selected a plump, matronly merchant with dark hair and spectacles. She had an open smile and spent as much time chatting with her customers as she did selling them food. Her stall held a promising array of breads and fruits from which he could make a breakfast. Every eye in the square turned toward the altercation, and a few people hurried in Darcy’s direction. The thief’s eyes went wild with panic as he twisted his hand in Darcy’s grasp, but Darcy would not let go. Before he could blink, the would-be thief produced a knife and sliced into the skin on the back of Darcy’s hand. The shock of pain loosened Darcy’s grip, and the man pulled his wrist free with a wrenching twist. With amazing speed and dexterity, the thief dodged around an approaching merchant and disappeared down a narrow alley. 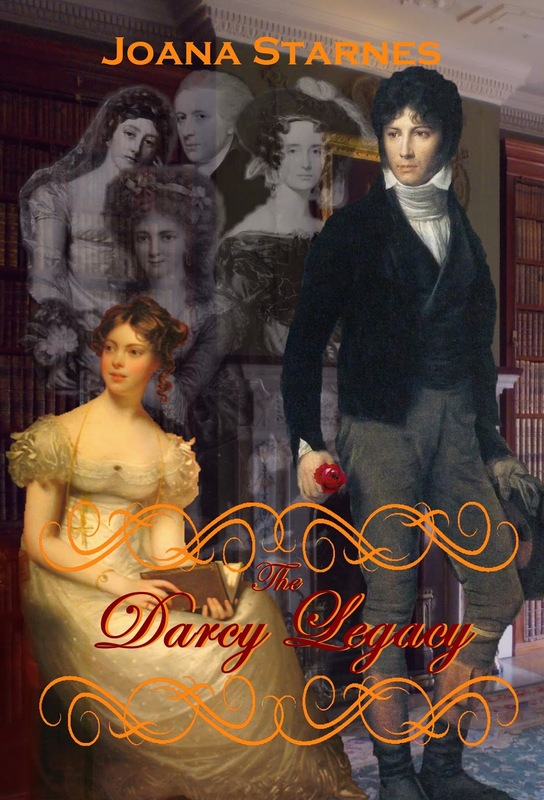 Darcy considered giving chase, but his hand required immediate attention. The gash was long and shallow, and it bled profusely. Bright red drops splashed the cobblestones at his feet. Darcy swore—being careful to do so in French—and pulled his handkerchief from a pocket, wrapping it around his injured hand, where it immediately became drenched in blood. The plump fruit seller hurried to his side, tutting in disapproval. “I have seen that scoundrel before, but I do not know him. He is not from Saint-Malo, that much is certain!” Several of the other merchants nodded in agreement. “This war is no good for the youth of France. It corrupts their morals and turns them into criminals. Trying to steal the purse of a good hardworking man. He should be ashamed!” Several of the bystanders muttered about Napoleon under their breath. She offered a length of linen—clean enough for the purpose—and bound up his hand while maintaining a soliloquy on the state of Saint-Malo, France, and the world in general. “It is all the fault of that man who calls himself our emperor!” People in the growing crowd grumbled agreement, and several uttered Napoleon’s name scornfully before spitting on the ground. Richard had said Brittany and Normandy tended to be more sympathetic to the royalist cause than Napoleon’s, and here was proof. But Darcy was a bit mystified as to how his encounter with a thief was Napoleon’s responsibility. “You do not support the emperor?” Darcy asked, surprised she offered her opinion so freely to a stranger. “Bah!” She rejected the idea with a flip of her hand. “Since Napoleon, the youth have no morals, every Sunday the pews are emptier, drought makes the crops wither, and cows give half as much milk.” Again, many onlookers nodded. “Not at all.” Darcy managed to keep a straight face. Someone in the crowd murmured words about reporting the attempted theft to the gendarmes, and Darcy stiffened; he had no desire to attract the attention of the police. “Yes, there is no point in filing a report,” his shorter companion agreed. By now the small crowd contained at least thirty people. Most likely this was the most interesting event Saint-Malo had witnessed in weeks. I have been in the country for a handful of hours, and already I am the center of attention, Darcy mused. I am indeed fortunate that I do not rely on my talents at espionage for my livelihood. “You’ll be wanting Mr. Martin,” the fruit seller said without hesitation. Victoria is offering winner's choice of either a paperback or ebook of The Unforgettable Mr Darcy, open internationally. To enter, just leave a comment on this blog post by the end of the day on Monday 30 July. 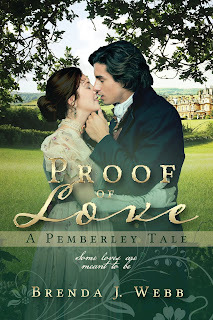 Recently Brenda Webb came to visit with an excerpt from her new Pride & Prejudice variation, Proof of Love. Brenda was offering a very generous giveaway of a signed paperback for two US/Canada readers, and ebooks for two more readers. I selected the winners by using a random number generator. 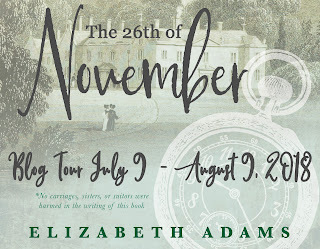 Today the blog tour stops by for Elizabeth Adams' new book, The 26th of November. 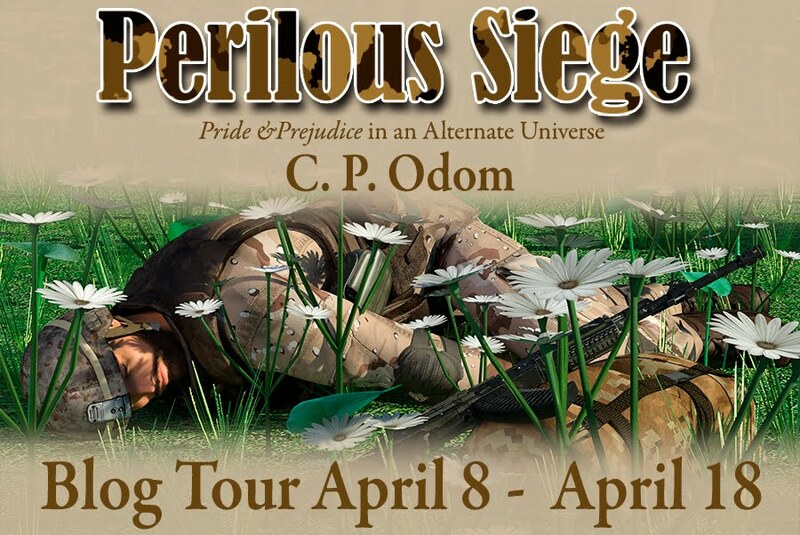 This is a light-hearted book based on Pride & Prejudice. Let me share the blurb with you, and then we'll move on to my review of the book. There is a giveaway too! Today I'm welcoming Victoria Kincaid back to the blog. She has made Mr Darcy to the Rescue available on audio and has come here with an excerpt of the story and a giveaway of an audio version for one of you. I'll share the blurb and then hand over to Victoria. 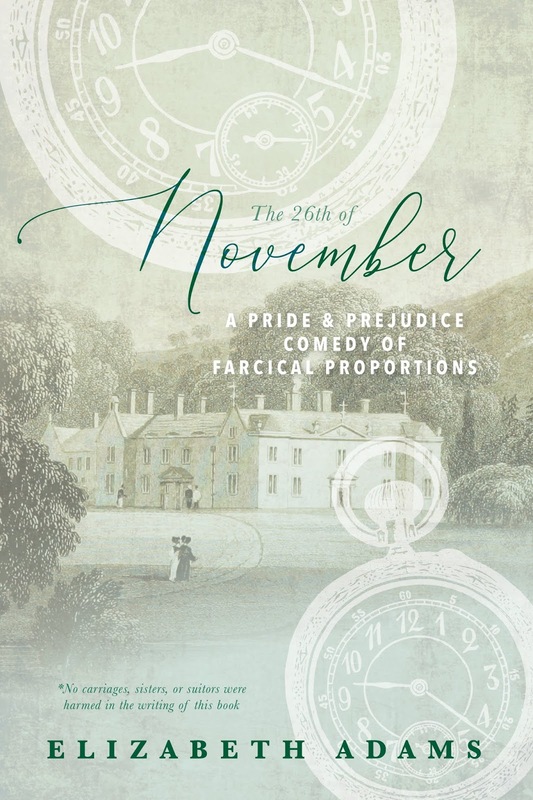 When the irritating Mr. Collins proposes marriage, Elizabeth Bennet is prepared to refuse him, but then she learns that her father is ill. If Mr. Bennet dies, Collins will inherit Longbourn and her family will have nowhere to go. Elizabeth accepts the proposal, telling herself she can be content as long as her family is secure. If only she weren’t dreading the approaching wedding day… Ever since leaving Hertfordshire, Mr. Darcy has been trying to forget his inconvenient attraction to Elizabeth. News of her betrothal forces him to realize how devastating it would be to lose her. He arrives at Longbourn intending to prevent the marriage, but discovers Elizabeth’s real opinion about his character. Then Darcy recognizes his true dilemma… How can he rescue her when she doesn’t want him to? I'm happy to be welcoming Brenda Webb back to Babblings of a Bookworm with an excerpt of her latest Pride & Prejudice variation, Proof of Love. Brenda has brought a generous giveaway with her too! I'll now hand over to Brenda. 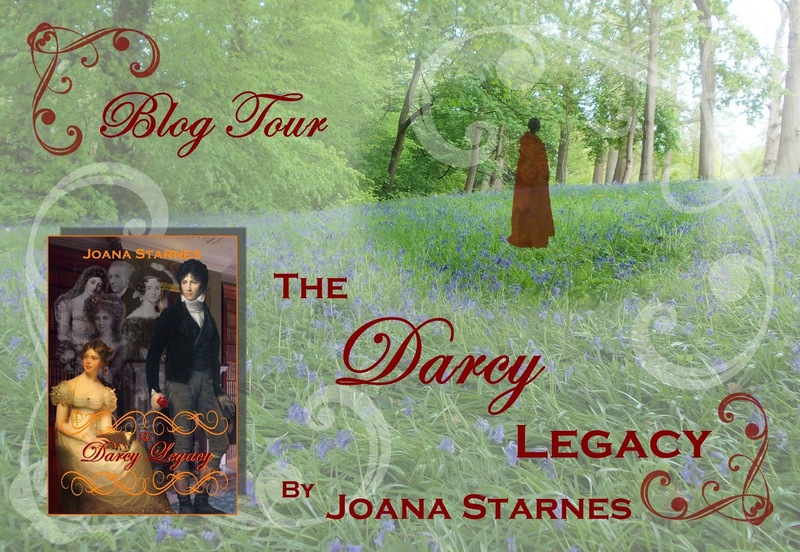 Today I'm happy to be welcoming one of my favorite JAFF authors, Joana Starnes for the blog tour stop of her newest book The Darcy Legacy. There's also a fantastic giveaway! Let me share the blurb with you first. Today I'm happy to be welcoming Karen M Cox to the blog. Long time visitors to my blog might remember that I've read quite a few of Karen's works. I love how she moves the characters and themes from Austen's books to different places and times. Her books are usually not set in the modern day, but in the 20th Century. I've read and enjoyed depression-era 1932, and the follow up novella, The Journey Home, plus 1980s spy novel Undeceived, Find Wonder in All Things, which takes Persuasion to the 1990s, and visited Emma Woodhouse back to the 1970s in I Could Write a Book. 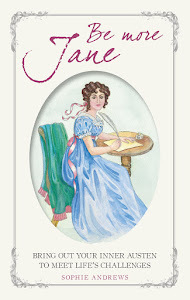 Karen has even taken on Northanger Abbey, in a short story in the Sunkissed: Effusions of Summer anthology, which is responsible for one of the longest quotes I have ever put on my blog! 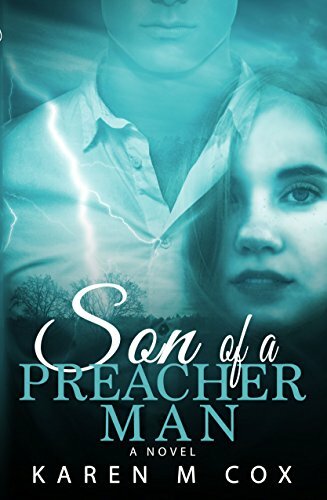 I'll now hand over to Karen for her to tell us a little more about her latest story, Son of a Preacher Man, which I hope to read later this month. Hello to all of you. Is it hot in your neck of the woods? We've had a bit of a heatwave here in the UK. June was a disastrous month for my reading. Nearly everything I read was on audio, so I listened either while driving, taking a lunchtime walk or while doing chores. The building work we've been having done is coming towards the end, which is obviously a good thing, but it's taken up quite a bit of time and energy. There's still lots of sorting out to be done, and some decorating, along with some more building work, sigh! I am hoping to carve out some reading time this month. I have a huuuuge backlog. I also have some blog visitors, who I hope you will drop by for. Let me tell you what I have planned. Firstly, I'll be welcoming Karen M Cox back to the blog. 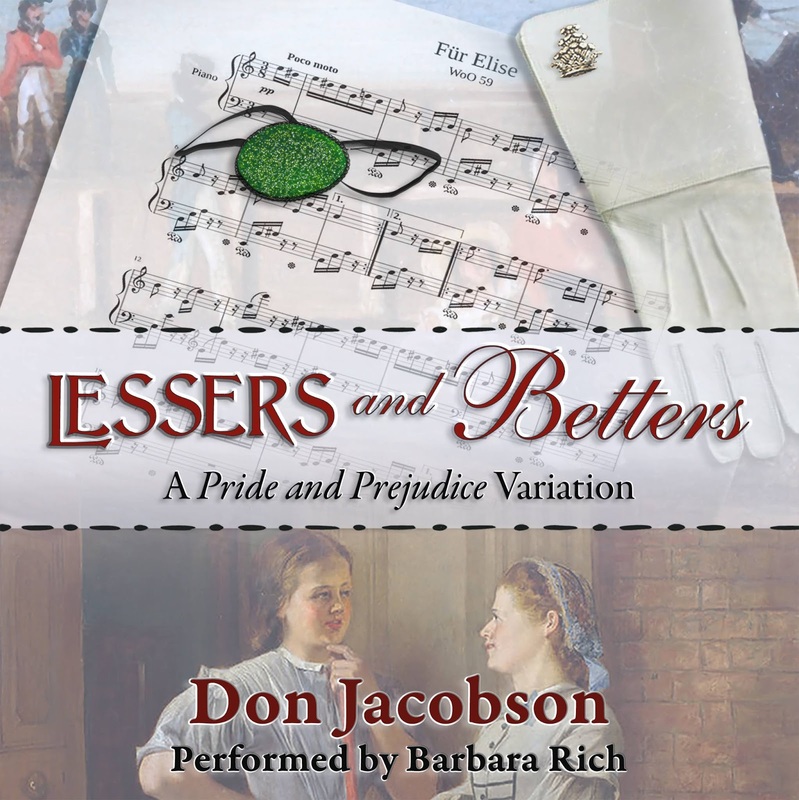 Karen has just released a book which is inspired by Pride & Prejudice rather than an updated version of it. So although there will be themes and characters which have come from P&P, Son of a Preacher Man doesn't follow the same line. The blog tour for Joana Starnes' new book, The Darcy Legacy will be stopping by for my review. This is a Pride & Prejudice variation with quite a mysterious-sounding blurb. I'm not entirely sure what to expect except that Mrs Bennet has died, leaving Mr Bennet to try and raise his family, and that there are some secrets in the Darcy family. Brenda Webb will be visiting with her new story, Proof of Love, which is Pride & Prejudice-inspired. 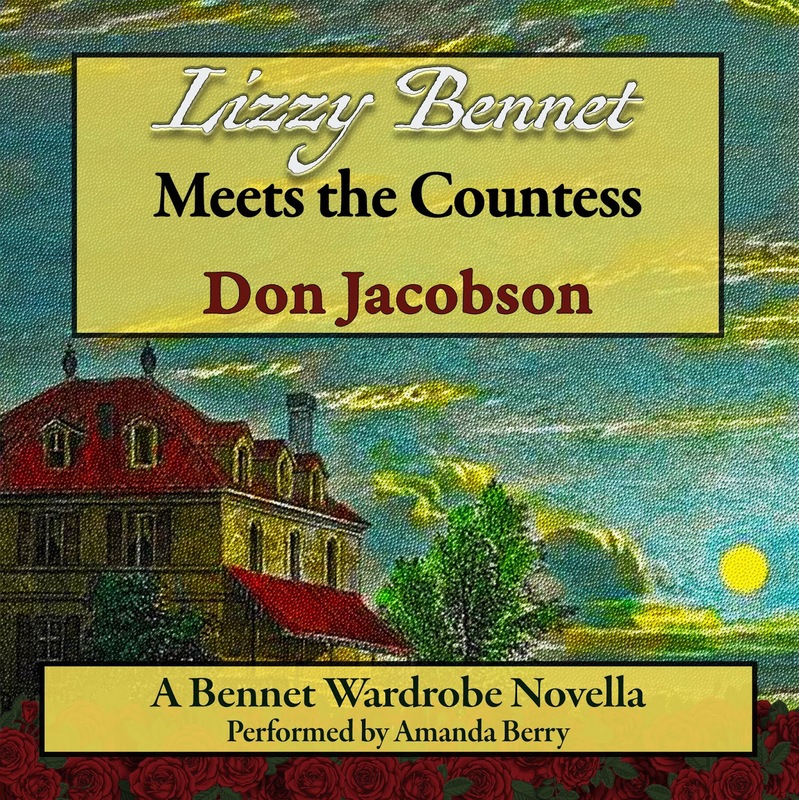 This varies from canon, with Darcy and Elizabeth meeting sooner. 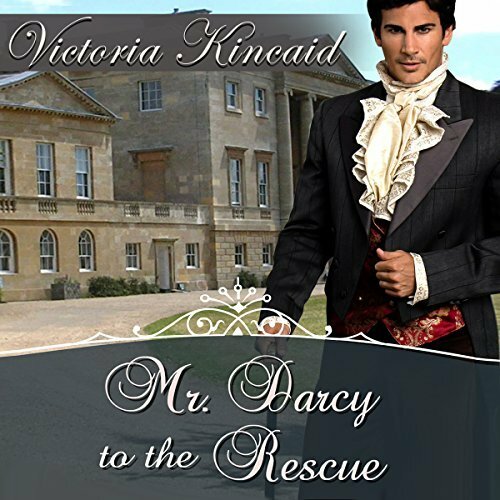 Victoria Kincaid is making Mr Darcy to the Rescue available on audio book, and she'll be popping in to visit us. I've read this in ebook format, and very much enjoyed it. So, what do you have lined up this month? Are there any books that you look forward to reading, or anything good that you'd like to recommend? Let us know in the comments.